Go from blah to baller with a CCI billet grille! With one of these chrome grilles from CCI, you will get a custom look that will have heads turning without breaking the bank. There is one of the easiest ways we've seen to transform your ride. 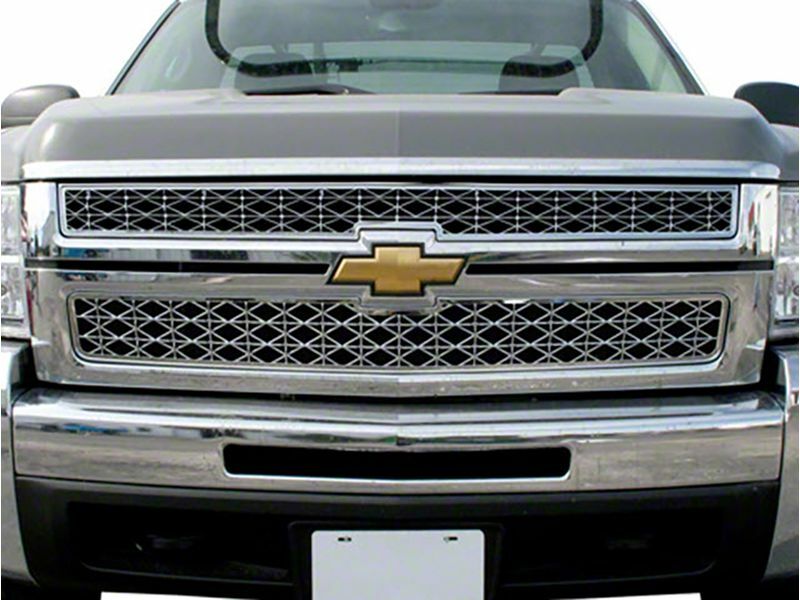 CCI uses durable ABS material to keep their truck grilles lightweight and able to resist breaking. Plus you'll never have to worry about your grille corroding like one made from steel or aluminum. There is a multitude of styles, all plated with chrome to help make you the center of attention wherever you go. CCI knows one of the main reasons people don't upgrade their grille is that they don't want to mess with the installation. When it comes to installing on of these billet style grilles, it's so easy a caveman could do it! CCI grilles all snap into place. No drilling, cutting, or running around to find special tools at the hardware store. We're talking maybe 5 minutes of your time and BOOM, your truck just got a face lift! Everyone should be able to upgrade their ride and each CCI billet grille is affordably price to ensure that you have plenty of gas money to cruise the boulevard with your new grille. There's no reason to delay, get yours today! These grilles simply snap into place. No drilling, cutting, or fancy tools necessary. You can always give us a call if you think of any questions or if you need any additional information.